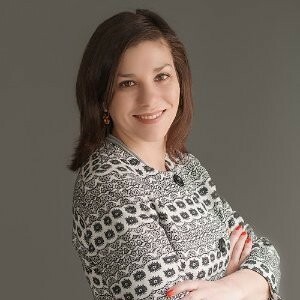 This guest blog is by City of Wauwatosa, WI Director of Administrative Services Melissa Weiss. Our work place culture, particularly at our City Hall building, has room to grow. Is this too big for us to tackle? All good questions. If you browse through organizational development book titles or on your podcast app, you know that you could read/listen for years on this topic. That is great and we should all immerse ourselves in learning, but I am advocating for us to start somewhere without over complicating it. Creating opportunities for coworkers to make work friends and build a connection is important. Gallup says it is a significant metric in how engaged and productive employees are with their place of employment. With all this in mind, in November, we launched what I hope becomes an annual initiative we called Cards for Kindfulness. If this isn’t something we want from our local government teams, I don’t know what is. I am all in on building a force for good in the community we are lucky to serve. Getting started was easy. We provided blank cards and asked our team to write one or two for a coworker at City Hall. We encouraged the messages to recognize something positive about that person’s work, attitude, or customer service. 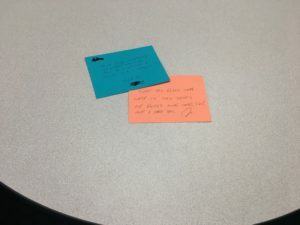 We asked people to each write a card plus to pay it forward by writing a card for someone else after they received one. Colored envelopes were flying around City Hall for a few weeks. We noticed people were smiling more and talking to coworkers in other departments more. I think there is always a place for kindness and caring in the workplace. The initiative cost us under $10 in cards and a few minutes of time to complete. It was well worth it. Kindness is magical in that it spreads and employees who feel appreciated are more productive. Building stronger relationships helps us to say yes to a coworker and offer to lend that needed helping hand. Kindfulness can also lower workplace stress, which has a huge impact on our personal lives and our wellbeing. We received positive feedback across the board. Our teammates felt more appreciated and enjoyed the encouragement to share kindfulness with others. A number of coworkers received notes about how their positive attitude and enthusiasm for their work has caused others to have a needed boost in their joy for service. Doesn’t that say it all? Our team is looking for a better culture too and with one small and easy step, we are now on our way. Have you done something awesome to spread cheer at work lately?